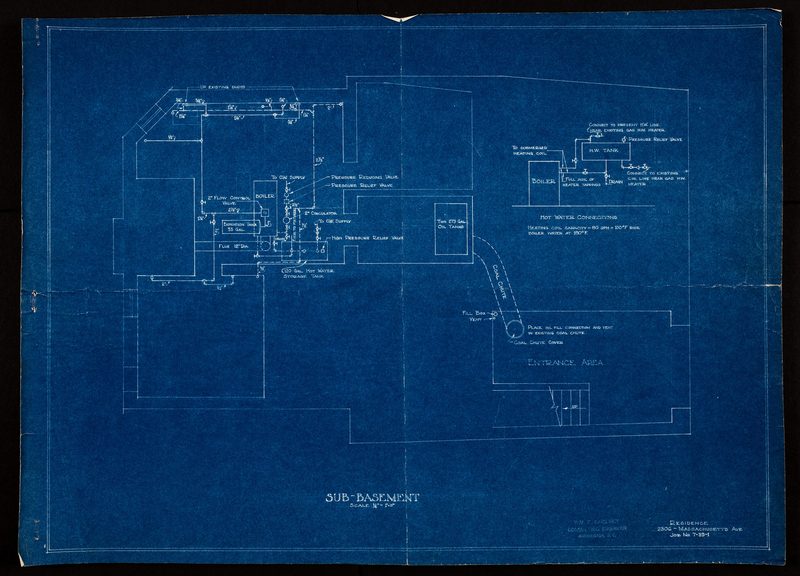 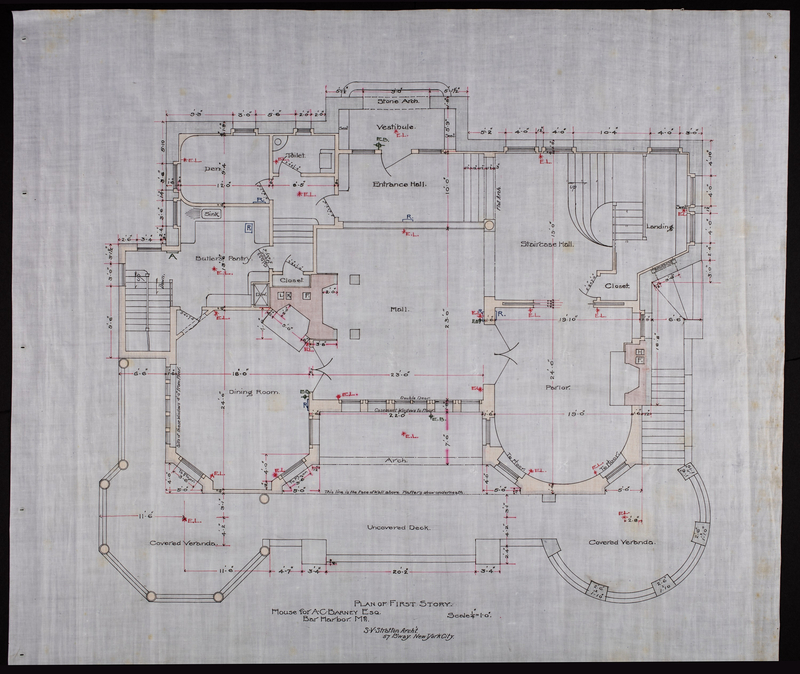 We recently digitized the architectural plans of two of the homes of the homes of Alice Pike Barney (1857-1931); artist, actor, playwright, and Washington D.C. socialite. 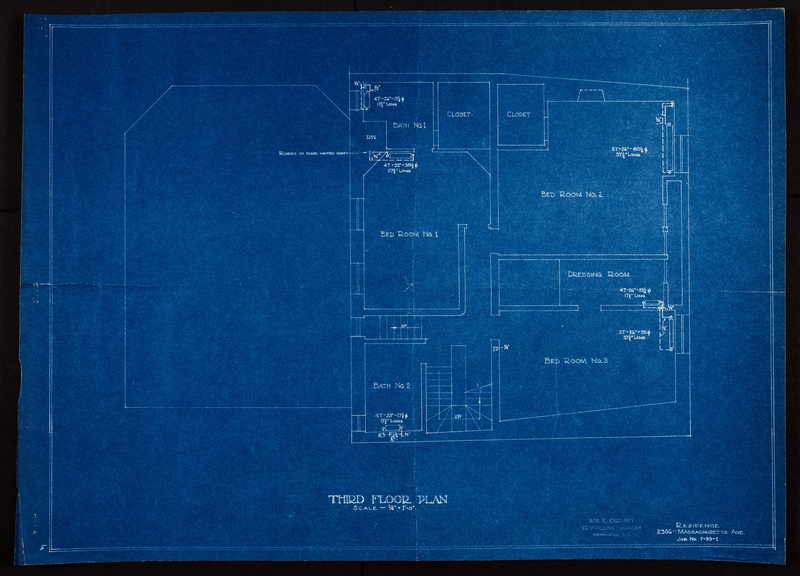 On December 5, 1961, the Smithsonian announced the gift of the Barney House Studio. 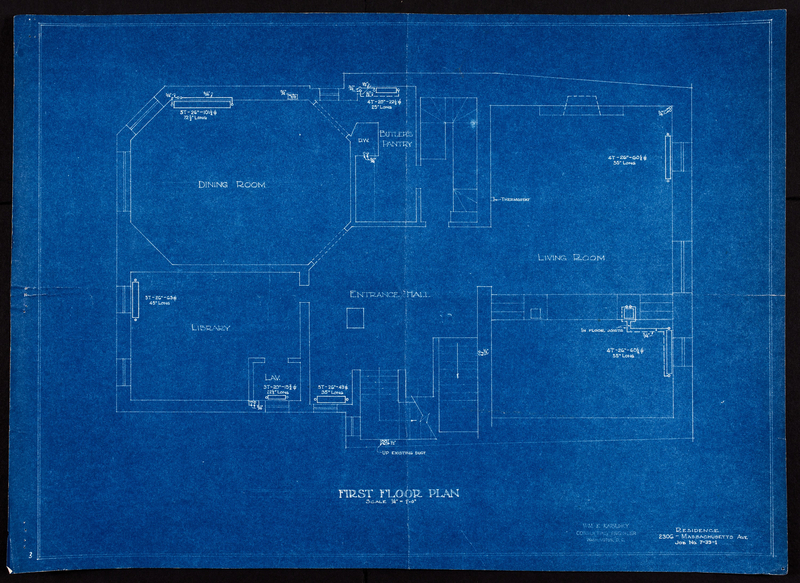 We have written previously about Alice Pike Barney (1857-1931); artist, actor, playwright, and Washington D.C. socialite at The Bigger Picture. 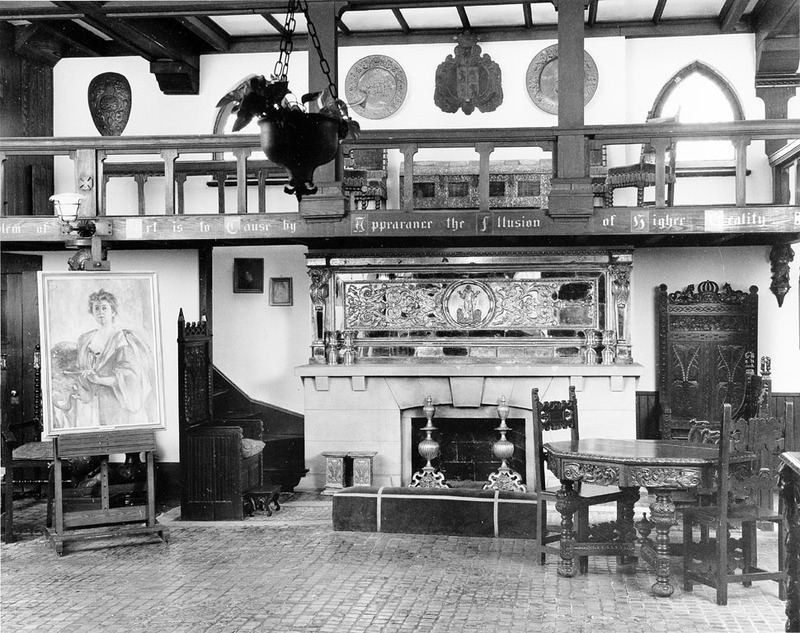 Barney donated her artwork and her D.C. residence which became part of the Smithsonian American Art Museum's collection. 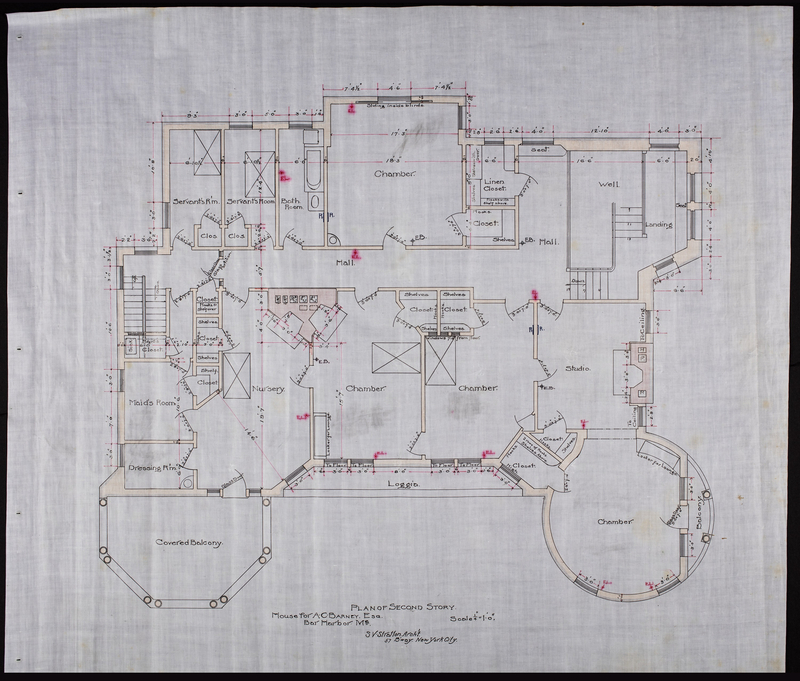 In 1999, however, the house was transferred to the Embassy of Latvia. 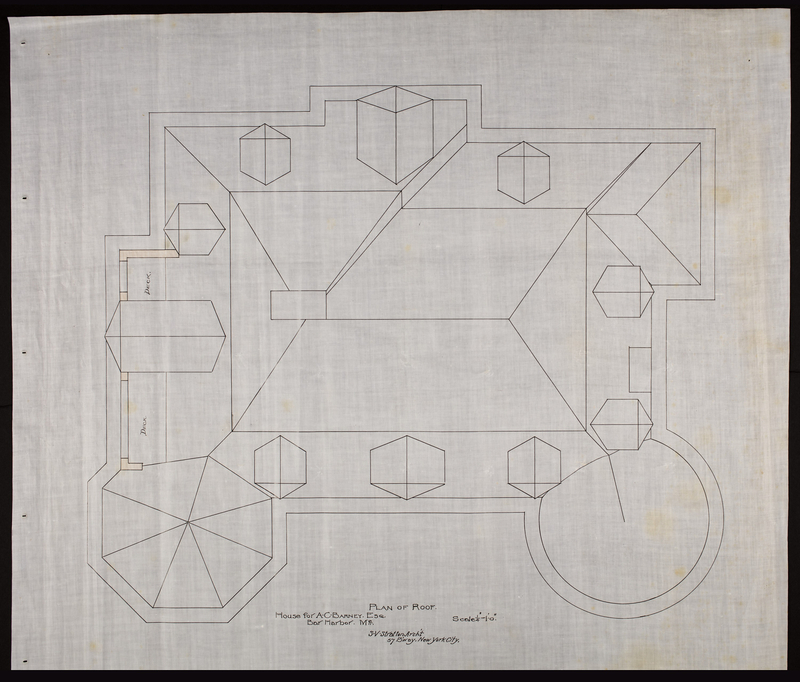 We have three different collections related to Barney which cover her work as an artist and writer, as well as her personal life. 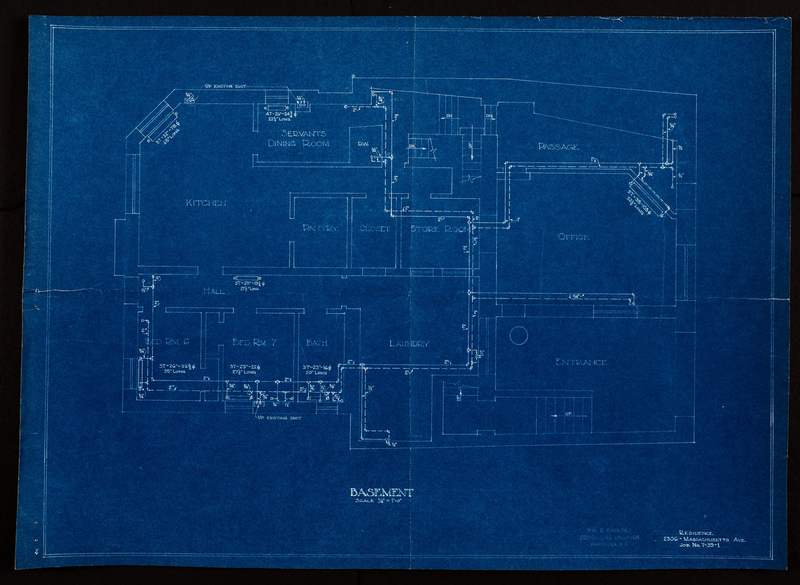 Recently a patron asked that we digitize the architectural plans of Barney's Bar Harbor summer cottage nicknamed Ban-y-Bryn. 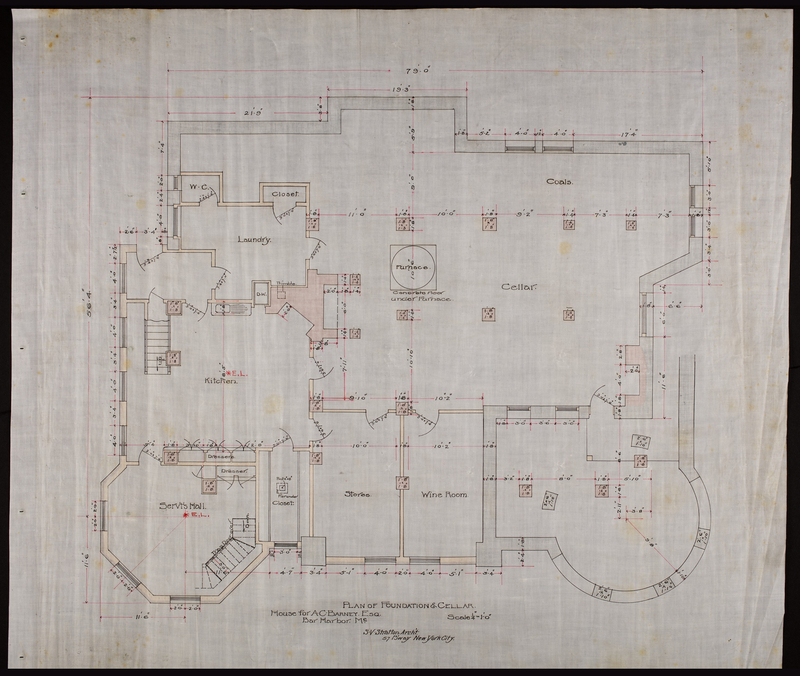 Hardly a cottage, as you can tell from these drawings, the retreat had 27 rooms including seven bedrooms, five bathrooms, five fireplaces, a large stable, seven servants' bedrooms, and additional servants' facilities. 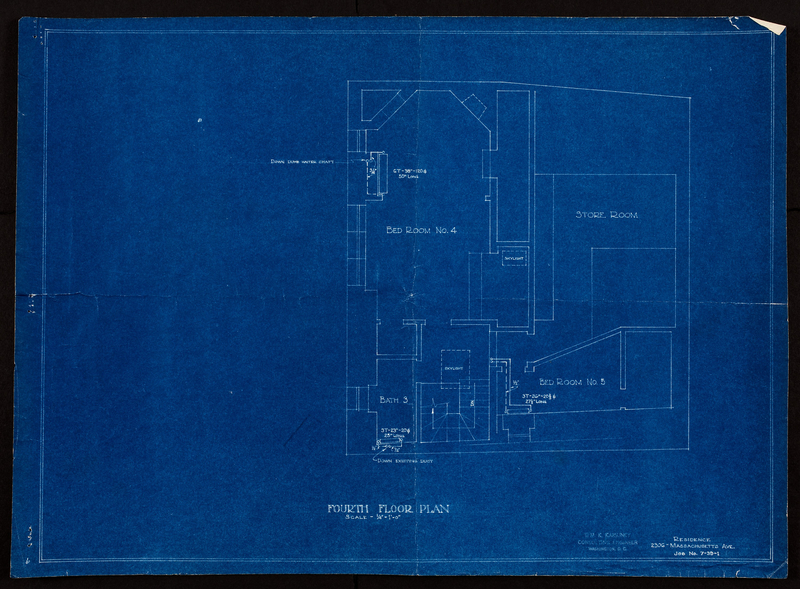 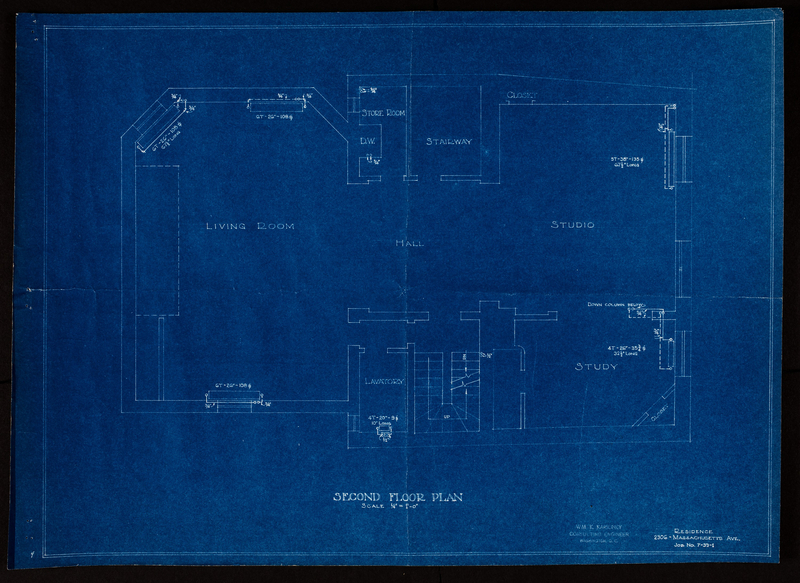 While we were at it, we also digitized the plans for the Barney House Studio in D.C. 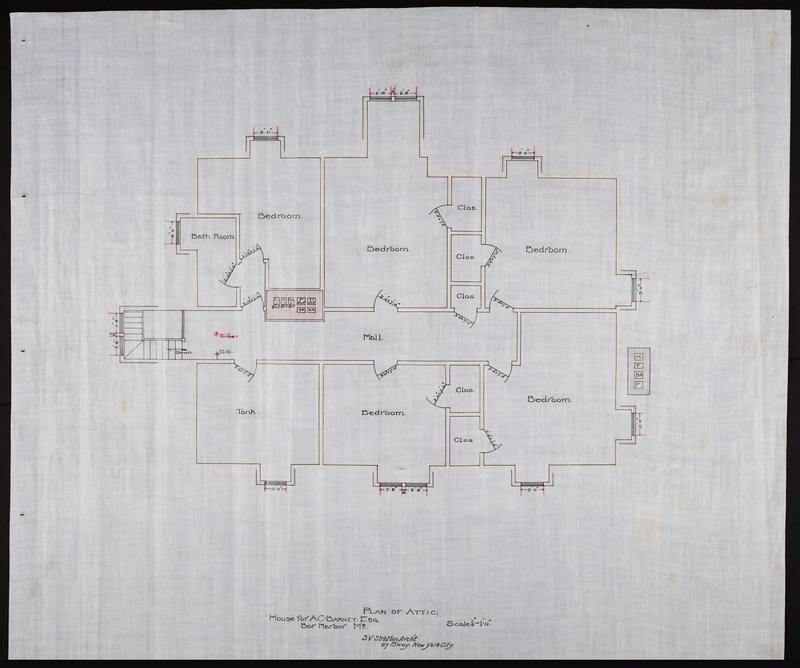 Enjoy peering into the life of a 19-20th century D.C. socialite!